MassXess provides hosted communication and call center services in the B2B market. This tech-savvy company uses its own carrier-based communication software for serving over 500 national and international clients. icCube is integrated in MassXess’ solution and running in a real-time environment. Users see updated reports after only 3 seconds that changes have been made in the database without any manual intervention! 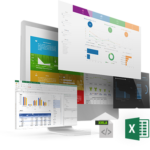 Specifically for MassXess, icCube has been enhanced with alerts meaning users can send dashboard snapshots to themselves or others when specific thresholds are met. With this additional supervision feature, managers can rest assure that they will be notified if something happens without having the need to continuously monitor the system. "Among all data visualization and reporting tools, only icCube was able to meet our real- time requirement for live call center dashboards in a cost effective way. 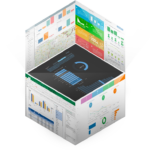 With icCube we can now offer high-end real-time BI dashboards to our customers as part of our own product and services portfolio. Chapeau to icCube and our Dutch reseller InsideVision."